I’ve said it multiple times, and I will say it again…I am all about easy crock pot meals! I love my crock pot and would be one sad girl without it! I came across this recipe a few months ago and have been using it ever since! This chicken is SO easy to throw together and my husband Loves it! Mix BBQ sauce, vinegar, red pepper flakes, brown sugar, and garlic powder together.Place chicken in crock pot. Pour sauce over it and cook on low for 4-6 hours. I think I just drooled a little....That looks delicious!! My crockpot cracked and I haven't remembered to buy a new one, I really miss it. My favorite crockpot meal is ribs, mmmmmmm! I love crock pot recipes...and this one looks delish! I love your blog too...now following! Sounds yummy. Love my crockpot! This sounds delicious and so easy! This is definitely going on my meal plan for next week! This look real good and easy..must try today! Bye...on the way to the market! This looks so good! Another recipe I need to try! looks yummmy!!! i recently donated my crock pot b/c everything burned and it was impossible to clean. even when i put it on the lowest setting. i never could figure out what i was doing wrong. what kind do you have? Yummy! My mouth is watering. I hope you will link this up to my Delights Me party at Doodles & Doilies. yum! i too love my crockpot. i have a crockpot chicken recipe as well. love the meals that take little prep time from my family gobbles them up. can't beat that. I'm doing this now as I type! LOL I didn't want to add additional sugar, as I try to avoid putting sugar in anything, so I added agave instead, instead of plain vinegar I used apple cidar vinegar and some finely diced white onion. It's not going to taste just like yours but when I tasted it prior to adding the chicken, it was pretty doggone yummy! I am SO making this! We love Jack Daniel's bbq sauce and it will be perfect w/ chicken. I love my crock pot too! Thanks so much :) When I blog it, I'll let you know! My husband loves it when someone throws in a savory dish on Sweet Indulgences Sunday, especially when it's meat. These do look delicious! Thanks for sharing. I love trying new crock pot recipe and this one sounds not only simple, but really delicious. HELLO easy!! That looks so good - I need to try this recipe!! Thanks for linking this up to Saturday Social! i am so thrilled to of found your blog..i search crockpot recipes alot...and use the thing qiute often..would love to see more no bake and crockpot recipes...you have actually tried out...thanks for sharing.. This is definitely going on next weeks menu! Yummy!!! mouthwatering. I can easily make out your love toward sharing recipes. Do you use white vinegar? isn't the vinegar and brown sugar just... more bbq sauce? This is essentially chicken and bbq sauce in a crockpot, with seasoning (that would likely be in the bbq sauce itself). Why not make it 'really' easy and just put chicken and bbq sauce in a crockpot? would you be able to make this ahead of time and freeze? would it still be good you think? How big is the BBQ sauce bottle? I absolutely love this recipe. I found it about 2 years ago and have made it many times ever since. 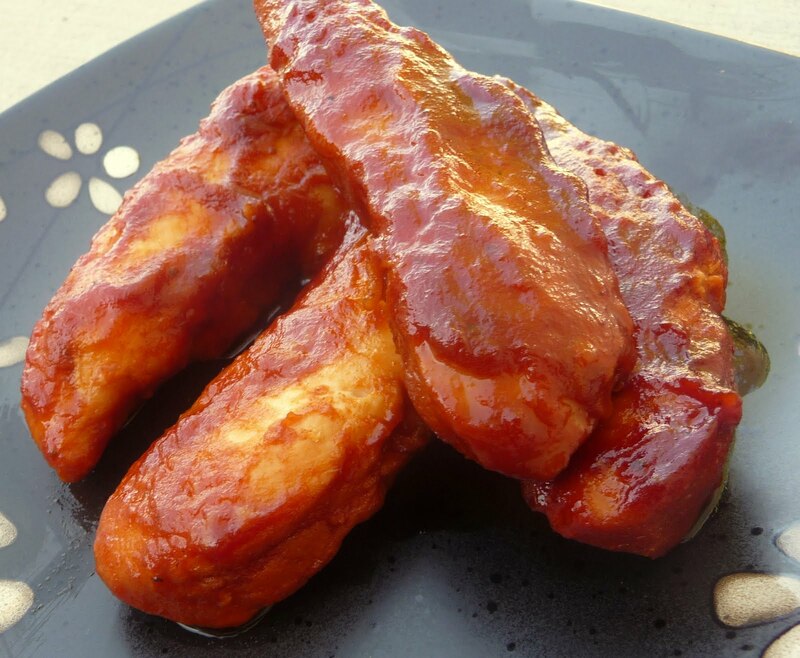 We use Sweet Baby Ray's Honey BBQ sauce and it turns out so yummy!